I've been reviewing a pre-production, international version of the LG G4 for the last two weeks and, by almost any measure, it promises to be one of the best, if not the best, smartphone on the market. 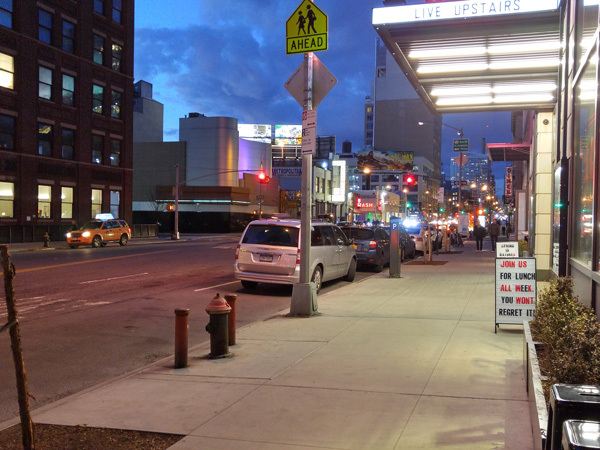 While in many ways its improvements over the LG G3 are subtle, the G3 was already a terrific phone, the G4's new camera is a major leap forward. Those improvements, together with the new leather-backed case design, provide the LG G4 with the an overall package that can't be beat. The LG G4 is a large device with a 5.5-inch display, though it manages the size well with a comfortable curved back and minimal side bezels. It is slightly taller than the G3, but the flatter sides of the G4 actually make it a tad easier to hold. The basic G4 model comes with a textured "metallic" case that looks fine and offers decent grip. But where the G4 really stands out is with its lineup of beautiful stitched leather case options. The real leather adds considerable visual appeal, while also providing better grip. Colors have yet to be fully announced for the carriers (what we know so far is that T-Mobile will have an exclusive on brown and Sprint will be offering the black leather. ), but LG was showing off models in black, brown, tan, blue, maroon and yellow. Aesthetics is always a matter of opinion, but I love what the leather does for the design - giving an otherwise bland phone a luxurious appeal. There is definitely a difference of opinion among reviewers whether the placement of the power and volume buttons on the rear of the phone, as with the G3, makes for awkward use. Having used the G3 (and now G4) regularly for the last six months, I've become used to the button position and feel that it works well with the phone's shape and size. 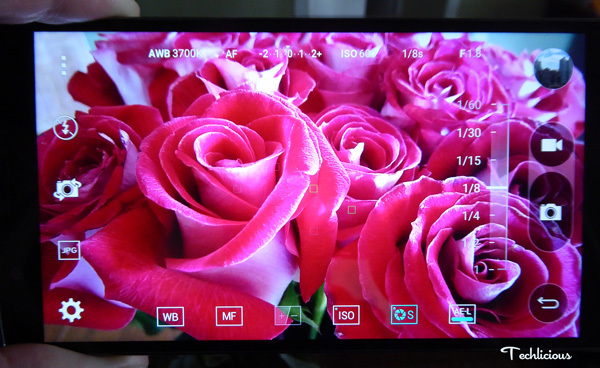 The G4 is using an updated IPS "Quantum" quadHD (2560x1440) display that LG claims offers 25% increased brightness, 50% improved contrast and 56% improved color accuracy over the G3. I didn't try to verify those percentages, but what I can tell you is that the G4 display looks terrific. Compared with the G3, the screen is noticeably brighter, with whiter whites and richer colors, but not oversaturated, and plenty of brightness even in direct sunlight. Not surprisingly, with its 538 PPI density, text and everything else looks incredibly sharp. LG didn't go all the way when it comes to maxing out the processing power in the G4. It comes with a Qualcomm Snapdragon 808 hexa-core processor, not the octa-core CPU on the HTC M9 or Galaxy S6. Though I think LG made the right decision to go this route. The hexa-core processor should be less power hungry than its eight-core counterparts and I found the performance of the G4 to be more than acceptable in day-to-day use, including gaming. In my review of the HTC One M9, I also found the eight-core processor to run extremely hot, making the phone uncomfortable to hold—an issue I didn't experience with the G4..
As I was testing a pre-production, international version of the G4, I didn't get into the weeds on the user interface. The G4 will ship with Android Lollipop 5.1 and the LG UX 4.0 interface is mostly unobtrusive, with a few helpful features, like the friendly "smart notices" that give you weather and other useful updates. I'll reserve more judgement on the interface until I've had the opportunity to test out a US version. Whereas everything I've discussed up to now has mostly been incremental improvements to the G3, the LG G4 camera takes the G4 to another level. New for the G4 is an f/1.8 aperture lens, a larger 1/2.6" 16MP sensor and upgraded optical image stabilization that together do an incredible job with low-light conditions. In addition to the hardware improvements, the G4 offers a new "manual" mode that gives you control over many of the functions typically reserved for DSLRs or advanced point-and-shoot cameras. The manual controls are very easy to use, even for photo novices. There are simple sliders that let you individually adjust shutter speed (from 1/30 to 1/6000 of a second), ISO (down to 2700), white balance and exposure compensation. The display adjusts in real-time to your changes, so you can see how your image will turn out before you shoot it. You can even shoot in RAW mode for eliminating compression artifacts and the most flexibility for advanced photo editing. Contrast the G4 with the f/2,2 lens and 1/3" sensor on the iPhone 6, and you see how big a difference there is spec-wise. Does this translate into real-world benefits, though? It absolutely does. Especially when taking matters into my own hands using the G4's manual mode, the G4 was able to capture images in low-light conditions which the iPhone 6 couldn't come close to replicating. 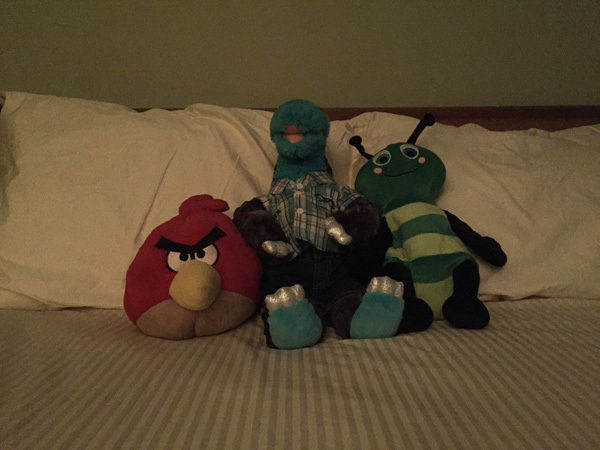 In the two images below (unedited) taken in low light, the G4 clearly comes out ahead of the iPhone 6 (full credit to my 6-year old for the use of his stuffed animals). Taking the light down even further to near dark conditions, the iPhone image wasn't visible at all unedited. With editing of both images in Photoshop, the G4 is still far superior for contrast, color accuracy, detail and lack of noise. 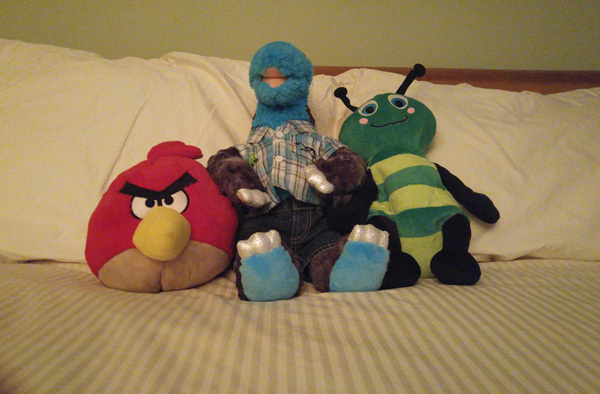 Here are another couple of samples of the G4's camera. The first, a shot on a NYC street at night using manual mode in rather tricky low-light conditions. It was mostly dark at this point, so I turned on HDR and lowered the shutter speed to 1/14 sec, while keeping the ISO at 350 to reduce noise. The second is in bright sunlight in auto mode. Video, which can be captured in up to 4K resolution, also benefits from the wider lens and bigger sensor. Thankfully, slo-mo now plays back properly on the G4, rather than at normal speed—an issue I faced with video on the G3. The G4 comes with 32GB of built-in memory and can be expanded via microSD up to 2 TB. If that’s not enough memory for you, I don’t know what to tell you. The G4 has a 3,000 mAh removable battery (same as on the G3). I don’t feel comfortable making strong conclusions about the battery life, since this is not a final US model, however, battery life seems about on-par with my G3 (which is excellent). The phone can easily last through the day of normal usage. Other reviewers who have done testing of the G4 vs the Galaxy S6 have found the G4 to either have 1) better battery or 2) worse battery life – which demonstrates the difficulty of creating an objective battery test. I would estimate that the two phones should be roughly equivalent, on average. Purchasers of the G4 will get 100 GB of Google Drive storage free for two years. The LG G4 will be available starting this month and should be rolled out to all carriers by the end of June. Pricing has yet to be announced, but I would assume it to be in-line with other high-end smartphones. Should you buy the LG G4? There has been some criticism from other reviewers that LG did not do enough with the G4 to distinguish it from the G3. I firmly disagree. The G3 was already a great device, but the improvements to the camera alone make the G4 worth the upgrade. 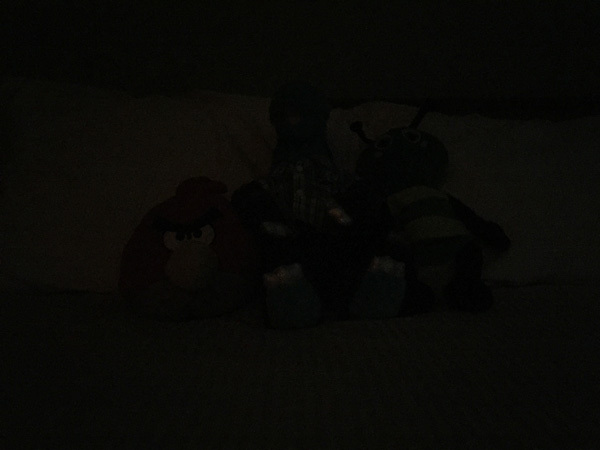 The G4’s low light capabilities are like no other phone on the market. Get into the manual settings and you’ll be amazed by the images you can capture. 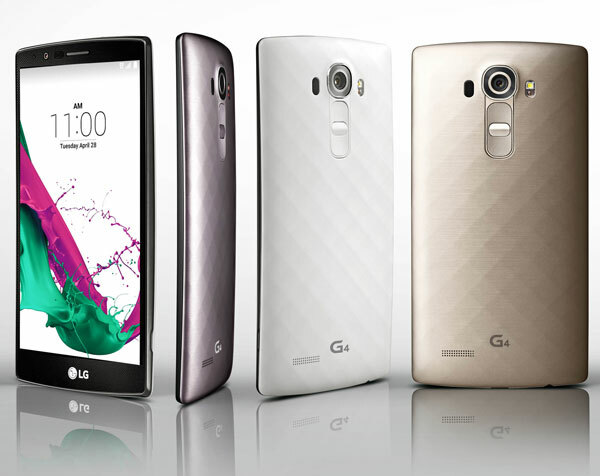 Beyond the incredibly strong technical foundation, LG has taken another big leap forward with the G4 design. Sure, the basic metallic back is more of the same. But those stitched leather backs are simply beautiful. I would gladly take one of those (brown, please) over the industrial design (beautiful as they are, too) of the HTC One M9 or iPhone 6. LG was unable to confirm whether the backs could be purchased separately but, if so, buying a few to mix and match with your wardrobe or mood will have strong appeal for many owners. All in all, the LG G4 is a great package and I highly recommend it. 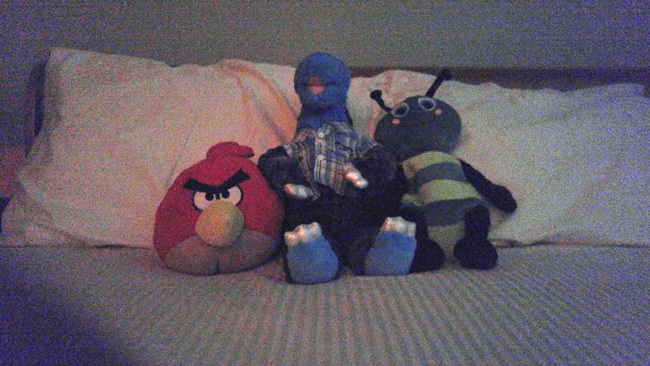 It’s camera qulity is good of another LG phones and also storage capicity much more than another phones. I pre-ordered the G4 going only by reviews and pictures. It’s prettier in person than photos. I got the black leather (it was the leather available thru Verizon) but did order a burgundy - I guess they call it red - leather back from eBay which arrived the same day, so yes, you can get swappable backs. The camera is excellent and has a lot of fun features in addition to taking great shots. This is my first phone after three Samsungs in a row. I am NOT sorry I made the switch! It really is a great phone. Very jealous about the leather backs, BTW. My review unit had the plain back - looks fine, but rather boring.